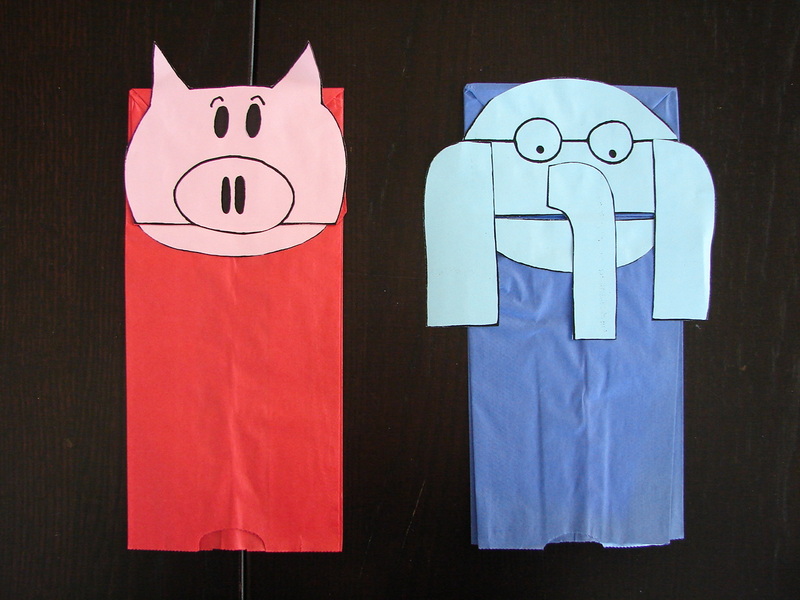 Cut out the pieces of the elephant and pig and glue on to the paper bags. Now your children can create their own tales with Elephant and Piggie! This entry was posted on April 22, 2014 by mrsshaia in After School Library Programs, Mo Willems and tagged After School Library Programs, Elephant and Piggie, Mo Willems.